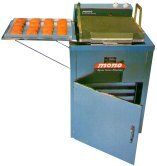 Manual and automatic fryers, bench or floor standing. Capacities from 24 - 48 doughnuts. 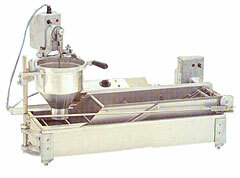 Float or total immersion frying. Thermostatically heated with drain off taps for easy cleaning. 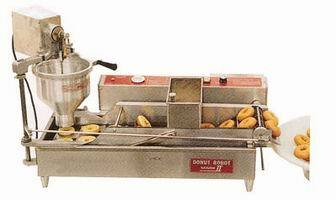 Conveyor fryers for batter donuts complete with depositors.